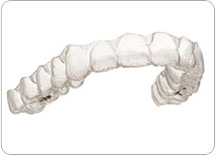 Dr. Thomas Fraser is an experienced and qualified Invisalign Dentist in Birmingham. 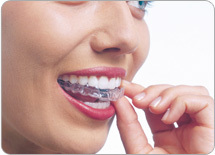 Invisalign aligners are virtually invisible – so hardly anyone will notice you are straightening your teeth. Tom Fraser will take impressions from your teeth from which Align Technology produces personalised custom made aligners. Invisalign is comfortable because there are no metal brackets or wires to irritate your gums or the inside of your mouth. Even before your Invisalign treatment is finished you will begin enjoying their benefits of a better smile. Teeth alignment starts right from the beginning of treatment. Invisalign® also allows you to view your own virtual 3D treatment plan (ClinCheck© treatment plan) when you start, so you can see how your straight teeth will look when your treatment is complete. During the initial consultation, Tom will discuss the issues you have with your teeth and explore what kind of results you’re hoping to achieve. 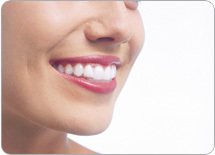 If Invisalign is suitable for you a treatment plan will be mapped out with your goals in mind. Tom will then take impressions of your teeth and will send these to the Invisalign laboratories for processing. The impressions of your teeth will be digitized in order for Tom to work with a computerized 3D image of your teeth. Then Tom will plan your tooth movements throughout your entire treatment timeline. You’ll be able to see a virtual representation of your teeth before, during, and after completion of the Invisalign process so you can see what your smile should look like when you’re treatment is complete. Once you and Tom have agreed to the treatment plan, bespoke aligners are then custom-made for you and have to be worn for approximately two weeks before you switch to the next aligner in the series. While the number of aligners varies for each individual, a full treatment typically includes 18-36 aligners for both the upper and lower teeth, which will take approximately 9-18 months depending on your individual case. Aligners should be worn day and night, except when eating, brushing or flossing teeth in order to complete your treatment in the timeline determined by you and Tom. You’ll go in for checkups every 4-6 weeks to monitor your progress and to receive your next series of aligners. During the entire treatment process, you’ll notice gradual movement and your teeth will, gradually move into an even and healthy smile. After you have completed your treatment, don’t forget to protect your new smile with Vivera retainers. Vivera retainers will retain your teeth in their new position so you can enjoy a long lasting smile.